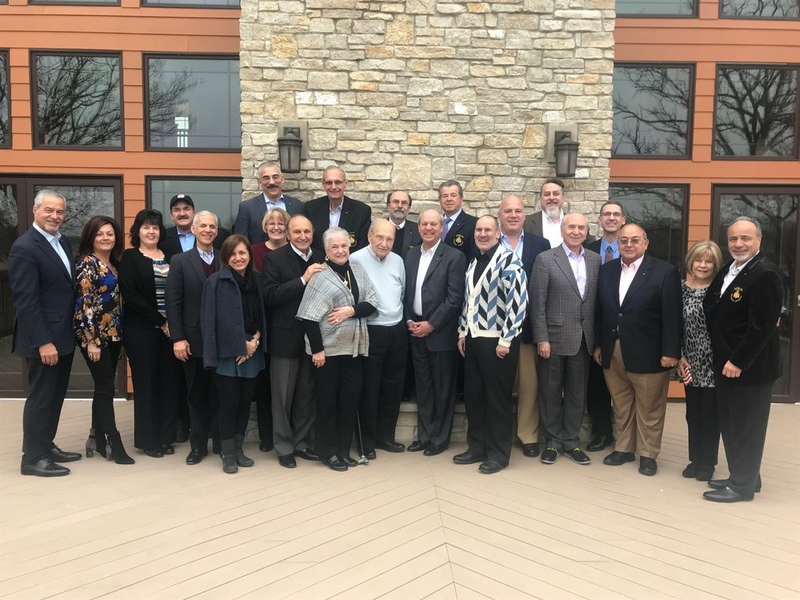 KANSASVILLE, WI: The Metropolis of Chicago's Archons held their Third Annual Archon Business Retreat on Saturday, February 24, at the St. Iakovos Retreat Center in Kansasville, Wisconsin. The retreat was spearheaded by Regional Commanders Gus M. Pablecas and John G. Manos. During the event, the Regional Commanders discussed Metropolis of Chicago Archon news and reported on National Archon-related events, including the Third Archon International Conference on Religious Freedom, which was held in Washington D.C. in December 2017. During the event a detailed Power Point presentation was presented to attendees. The retreat included a business and planning session, a dialog on defending and promoting the Holy and Great Mother Church and how to create new ideas for raising awareness of the issues facing the Ecumenical Patriarch today. In addition, the guest speaker was Archon Dr. John Fotopoulos. “It was one of the most productive, high spirited meetings where new constructive ideas were created and action plans were implemented,” said Regional Commander Pablecas. As part of the retreat, there was a segment that was basically a think tank session where expanded ideas were discussed. This allowed the regional commanders to tap into the vast experience of the Archons attending the meeting. As part of the retreat, a presentation was made by Archon Dr. John Fotopoulos, who was inducted as an Archon of the Order of St. Andrew the Apostle in 2017 and bestowed the offikion Didaskalos tou Euaggeliou. He is an Associate Professor in the Department of Religious Studies at Saint Mary’s College in Notre Dame, Indiana, where he has served on the faculty since 2001. His lecture focused on the Halki Theological School. Specifically, he spoke on its history and religious freedom, the need for the Halki Theological School to open as part of the Ecumenical Patriarchate, and the great biblical theologian Vasileios Antoniadis, who was a professor at Halki. Professor Anotoniadis helped compile the Greek text of the New Testament that we hear in worship within the Greek speaking churches of the Ecumenical Patriarchate. Eastern Orthodox Christians are the second largest Christian faith tradition worldwide. The Metropolis of Chicago oversees all Greek Orthodox Parishes within Illinois, Iowa, Wisconsin, and Minnesota, as well as large portions of Missouri and Indiana. You can find more information on the Greek Orthodox Metropolis of Chicago at www.chicago.goarch.org. More information on the Archons is available at www.Archons.org.